Many of the streets in the Upper Plain area are named after the second names of the developers. 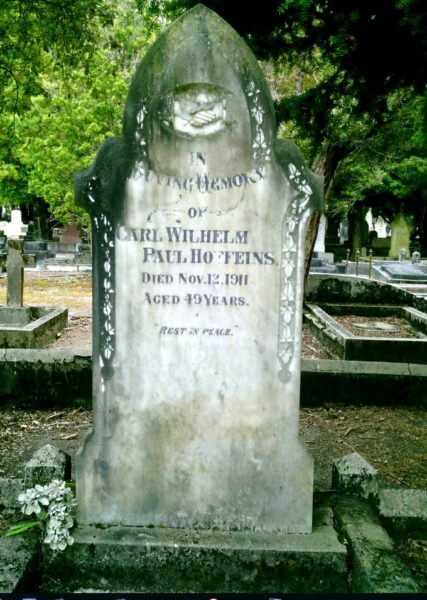 The Hoffeins member of the syndicate that built the subdivision turned out to be an Akura Road dairy farmer, Carl Wilhelm Paul Hoffeins - thus Paul Street. Partner Greenlees proved to be harder to track down. Greenlees is an uncommon name, and the only reference we could find to Mr Greenlees, apart from the reference to him being part of the syndicate, was a brief mention of him as having subscribed to the Masterton Hospital. A long search through electoral rolls finally found Charles Colville Greenlees living in Hokitika. Hence Colville Street.